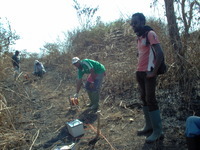 I am a geologist possing a wealth of field experience in gold mining. I have a good understanding in managing the business from all perspective. I am looking for investors or partners who would like to invest in this line of Business (Mechanical Artisanal Mining of Gold). It is a venture you will never regret it.